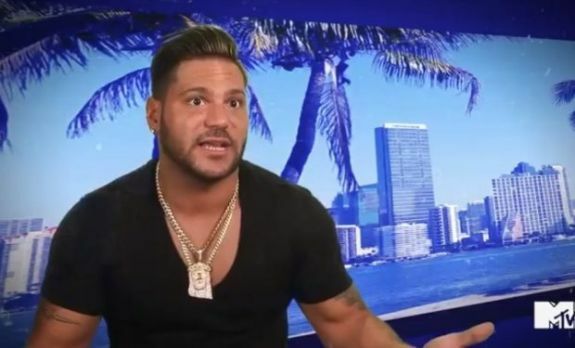 When Jersey Shore Family Vacation star Ronnie Ortiz-Magro appears on the third season, he may be a very different version of the guy we’ve seen in the past. There is no mention in the interview of Ronnie’s relationship status with Jen Harley, who has been featured over the past two seasons of Family Vacation. The two have been on-again, off-again for some time and also have been the subject of a number of less-than-positive headlines. When will Jersey Shore Family Vacation season 3 air? At the moment, there is no time-frame, and understandably so given that so many of the cast members are off doing a wide array of different things. Deena Cortese just became a mom, Snooki is pregnant again, and as discussed recently, Mike “The Situation” Sorrentino is in prison. There is no super-clear timetable as to when some things are going to turn around and the show will be back in action … at least at the moment. For now, at least take solace in the fact that the show is coming back eventually — there is a lot of fascinating stuff that still could be coming up, and we’ll have some more updates the moment there are some.